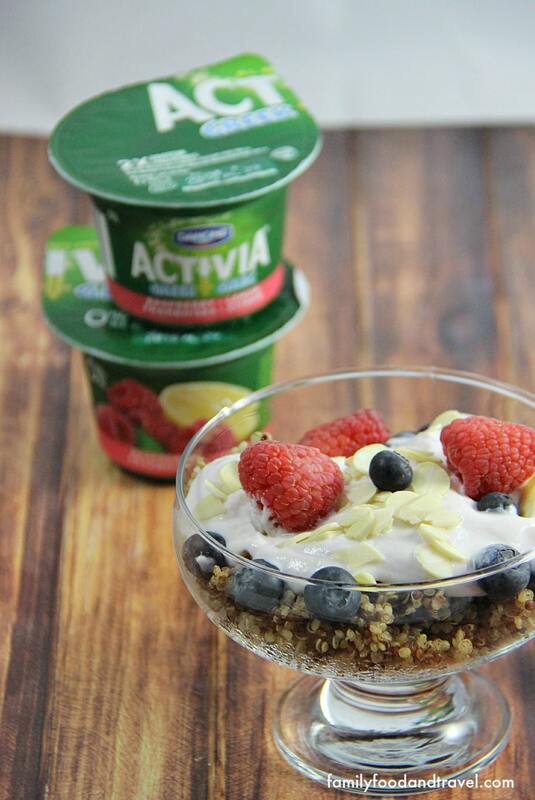 It’s Week 3 of the Activia® Challenge and I am feeling great. Increasing my yogurt intake to 200g daily has been easy and delicious. I have loved trying all kinds of Activia® yogurt and settled in that my favorites are the Greek Vanilla, Greek Mango, Regular Strawberry Rhubarb and Fat-Free Peach. But, truthfully I have loved every single flavor I’ve tried. The extra protein and probiotics have left me feeling full and satisfied without any digestive discomfort. My boys and I have been experimenting with different recipes and toppings for our yogurt. The boys have settled on eating it right from the container and I have dipped fruit in it, made parfaits with granola and even added my breakfast cereal to yogurt. I am excited to share my favorite breakfast recipe that I know I will be eating months after the challenge is over. It’s light, full of protein and absolutely delicious. The simplicity of this recipe may make you challenge whether you’d enjoy this dish. Quinoa for breakfast? Yes, quinoa for breakfast. You can eat the quinoa hot or cold depending on your preference and the flavor of cinnamon and ginger are subtle but delicious. 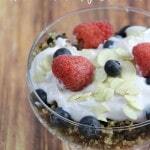 Top with your favorite granola, berries or coconut for a delicious and healthy breakfast. Have kids? Let them top their quinoa breakfast bowl with their favorite toppings for a breakfast dish everyone will like. In a hurry? 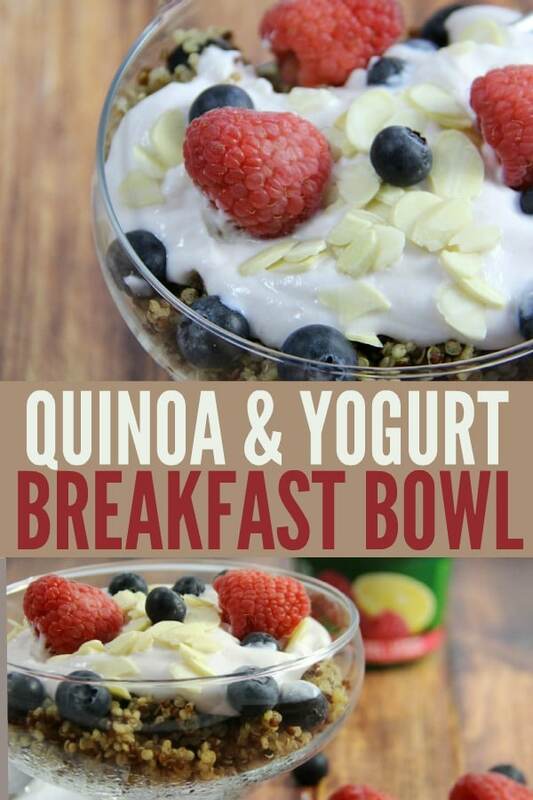 Put the quinoa into a container, add your toppings and yogurt and you are out the door with breakfast in hand. Place quinoa, water, cinnamon, and ginger in a small saucepan and bring to a boil over medium heat. Cover and lightly boil for 8-10 minutes until all of the water is absorbed. Fluff quinoa with a fork and transfer to a bowl. 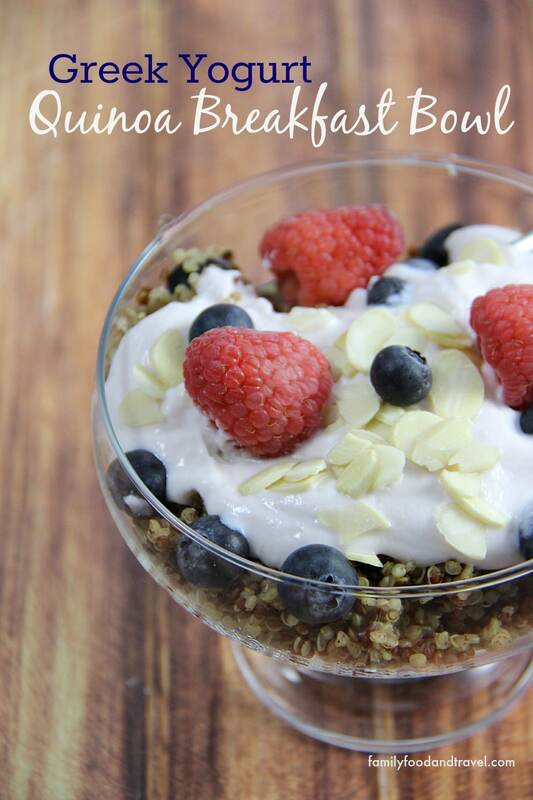 Top with yogurt, and your favorite granola, seeds, nuts and/or fruit. Looking for another great breakfast option? Try our Freezeable Ham and Egg Muffins. Perfect for those busy mornings when everyone needs something to eat now! This protein packed Quinoa Breakfast Bowl is packed with everything you need for an energized day. Place quinoa, water, cinnamon and ginger in a small saucepan and bring to a boil over medium heat. Cover and lightly boil for 8-10 minutes until all of the water is absorbed. Fluff quinoa with a fork and transfer to a bowl. Top with yogurt, and your favourite granola, seeds, nuts and/or fruit. A great side to this breakfast is a delicious green smoothie. Try our Passionfruit Green Smoothie for the delicious taste of passionfruit with healthy greens too! No matter which type of yogurt you choose this Quinoa Breakfast Bowl is a great breakfast any day of the week. OMG, that is so much better than what I eat for breakfast. Quinoa has to be healthier than Cocoa Puffs. This looks so good! I’ll have to try it out for breakfast. I could use something new like this for breakfast. Gosh that sounds like an amazing breakfast. I have to remember to pick up some Greek yogurt and quinoa. i love quinoa and Greek yogurt! This looks right up my alley! I never know how to cook quinoa, so I was glad to see you using it in this recipe. I am totally gong to try this! 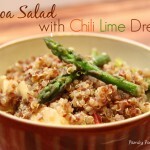 So glad I could help – Quinoa is really easy to cook but at first it can seem intimidating. This looks so delicious. I would love to try this for breakfast. I will have to try it this weekend. That stuff looks weird in the bottom of the bowl. It looks good though. I may need to try this. I’ve found it really easy to increase my yogurt to 200g. It is two yogurt cups a day. One in the morning, one for a late night snack. This looks soo good. I can’t wait to try this!! Yum! That looks absolutely delicious. I will definitely be making some of this in the very near future. 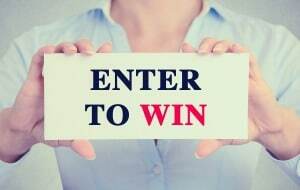 Mistee Dawn recently posted..Hamburger Helper makes dinner easy – PLUS a Free Ground Beef Rebate! I have never thought of pairing yogurt with quinoa! I will have to give this a try! 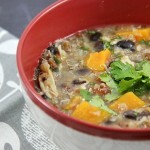 We use Quinoa for breakfast all the time and it always turns out so delicious! 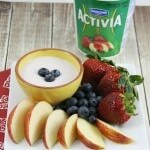 Yours looks yummy and I am definitely going to have to check out the Activia Greek Yogurt. Jennifer Sikora recently posted..The Age of Adaline – Are You Excited to See It? That looks like a great breakfast. I will have to try that very soon. I haven’t had breakfast yet and this is making me hungry. I love that it has cinnamon in it. Yum.